Current British GT champions Stuart Middleton and Rick Parfitt Jnr have successfully completed their initial running at the famous Daytona International Speedway, taking part in the ‘Roar Before The 24’ ahead of the 2018 Daytona 24 Hours. GT4 champion Middleton became the youngest driver to win the Sunoco Whelen Challenge, a package worth $250,000. He joins the front-running Action Express Racing (AX Racing) team in the Whelen Engineering Racing Cadillac DPi, which utilises all of the 600 bhp from the 6.2-litre V8 engine to reach speeds approaching 200 mph on the banking. 17-year old Middleton joins another Sunoco Whelen Challenge winner in former Formula One driver Felipe Nasr in the #31 Cadillac; the first time two winners have teamed up. Also competing in the car is current Toyota LMP1 and former IndyCar and Formula E racer Mike Conway, and 2016 IMSA champion Eric Curran. The #31 squad finished the Roar with fastest time in qualifying for the pit and garage allocations, leaving the team in good stead ahead of race qualifying on Thursday 25 January (15:45 EST / 20:45 GMT). Fellow British GT GT3 champion Rick Parfitt Jnr, who won the Sunoco 240 Challenge, is also racing having become the first amateur to win based on results in the British GT series. His prize is a drive in the BMW Endurance Challenge, a 240-minute race before the 24 Hours which opens the IMSA Continental Tire SportsCar Challenge series. Rick joins Daren Jorgensen and Cameron Lawrence in the Global Motorsports Group Racing (GMG Racing) Audi R8 GT4, a new challenge for the Brit who is used to more powerful machinery, having raced a Bentley Continental GT3 to British GT championship success. The trio finished the final practice session seventh overall, bonding well before qualifying on Thursday 25 January (12:25 EST / 17:45 GMT). “Overall the Roar [Before the 24] has gone really well for me. It’s been very productive and it’s been good to get to know the team and learn the car and the track. The progress that’s been made from myself, the team, and my teammates has been really strong. From our point of view, we’ve done everything we needed to do to set ourselves up for the race. “Every session I’ve tried to make progress and it’s definitely shown towards the end of the Roar. I’m very happy with how it’s gone and everyone’s feeling pretty confident. I think we’ll be in the hunt. “It’s been really good. Coming here with a brand-new car was a bit of a challenge, but GMG (Global Motorsports Group Racing) have done an amazing job and to be here with Sunoco is a dream come true. We’ve made amazing progress: I was the fastest Am in the final session, so we’re definitely flying the flag for us Brits in the GT4 class. I’m really looking forward to coming back to this incredible circuit for race day. “Sunoco has done a good job placing me with this team as I get on really well with Daren [Jorgensen] and Cameron [Lawrence]. They’re a great team – there’s differences in abilities between us but everyone is pulling together towards a common goal. It can be difficult if you don’t get on with your teammates or there isn’t that sort of interaction but I’m pleased to say I’ve made some friends for life here. “So far, it’s been good and very encouraging. I was a little bit nervous for Stuart as he’s never driven a car with downforce and we didn’t have the pre-Christmas test we would normally have. We went to the simulator in Indianapolis and he did a really good job there. For him to crack those times, 1m 38s, its early and we have a couple of test days before the race, so it is impressive. “This year is especially great because we have Felipe Nasr back and he won the 2012 Sunoco Daytona Challenge, and it’s been a dream to get two winners together. Stuart is very excited about the whole prospect of racing with an ex-Formula One driver who is super-fast – and Felipe proved he is super-fast: he got everything out of the car to go fastest and take a stunning qualifying for the pit box. What are the Sunoco Challenges? The Sunoco Challenges provide an accurate assessment and comparison of performances across multiple championships during any given season. Points are awarded for qualifying and race results, including fastest lap, which are then converted into an individual average score for each competing driver over the course of a full campaign. That means each race weekend offers drivers an equal chance to climb and drop down their respective Sunoco Challenge table. It also ensures that performances are taken into consideration across an entire season while placing less emphasis on one-off or unfair results. As in previous years this season’s Sunoco Whelen Challenge champion will win a fully funded drive aboard a Whelen-sponsored prototype in the 2018 Rolex 24 At Daytona. 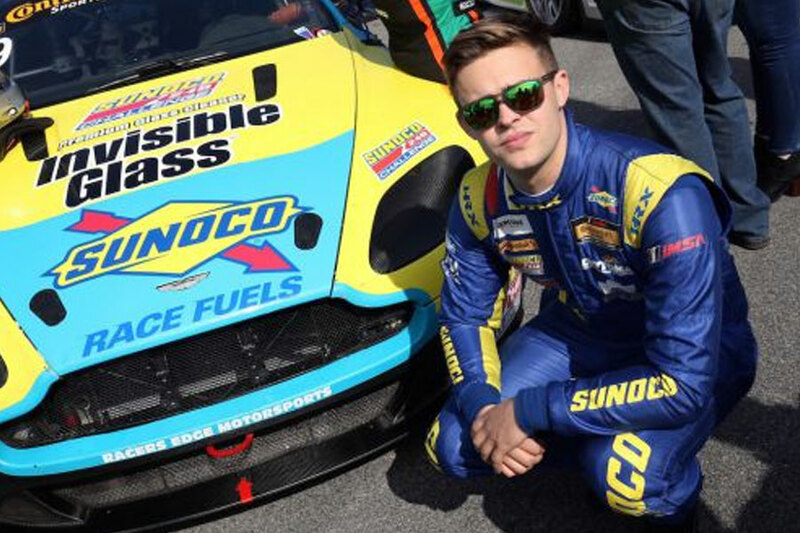 Meanwhile, Sunoco’s 240 Challenge champion will contest the 240-minute Daytona support race held over the same January weekend at the wheel of a Sunoco-liveried GT4 car.